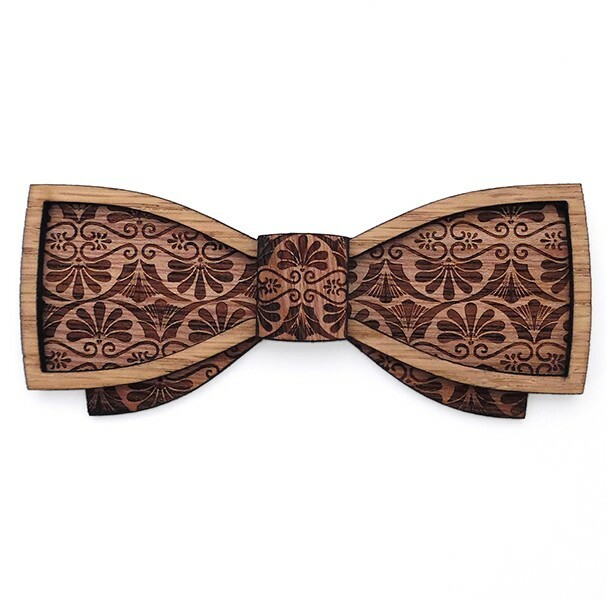 This classic style wooden bow tie is cut out of luaun mahogany and etched with a vintage pattern. Approx. 1.75" x 4.5". Comes complete with adjustable strap.